COMMENTS ON INDIAN COMPANY LAW: WILL THE MCA ISSUE FURTHER CLARIFICATION OR REMOVAL OF DOUBT ON SECTION 2(76) (IV) OF THE 2013 ACT AS REGARDS TO RELATED PARTY TRANSACTIONS AS IT CREATES AMBIGUITY AND ACT AS AN ANOMALY? WILL THE MCA ISSUE FURTHER CLARIFICATION OR REMOVAL OF DOUBT ON SECTION 2(76) (IV) OF THE 2013 ACT AS REGARDS TO RELATED PARTY TRANSACTIONS AS IT CREATES AMBIGUITY AND ACT AS AN ANOMALY? The Ministry of Corporate Affairs ("MCA") notified on June 5, 2015 that certain provisions of the Companies Act, 2013 ("2013 Act") shall not apply to private limited companies or shall apply with such exceptions or modifications as directed in the notification (the "Notification"). The above MCA notification dated exempts private limited companies from the following provisions of the Companies Act as regards to related party transactions (RTP). Due to the above exemptions of section 2(76)(viii) and Section 188 (1) of CA 2013, now, private limited companies shall not be required to obtain the approval of the board or the shareholders, for the purpose of entering into a contract/ arrangement with a Group Company. The above notification states that, in relation to a private company, the entities specified in Section 2(76)(viii) of the 2013 Act (i.e., the Group Companies) would not be considered related parties for the purposes of Section 188. Further, this exemption will permit members of the company interested in the contract/ arrangement to vote on the resolution for authorizing the related party transaction. This is clearly an anomaly. 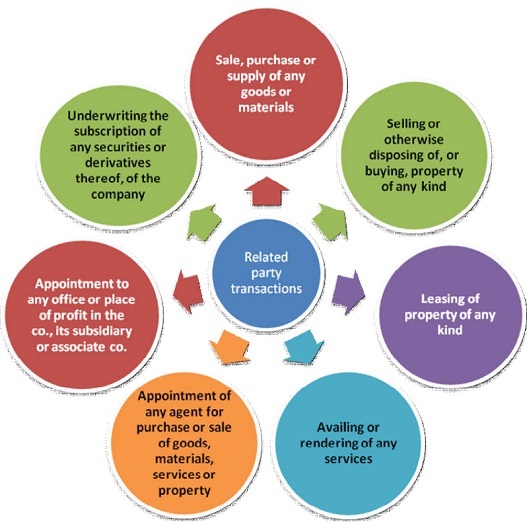 While exempting private companies from the related party transactions but not providing exemption to section 2(76) (iv) of the 2013 Act results in ambiguity as the directors or members in one private company are directors or members in another private company, a transaction between the two such companies would be considered as a related party transaction despite the exemption granted from Section 2(76) (viii). Will the MCA and Government come forward to issue clarification or removal of doubt about the exemption of section 2(76) (iv) of the 2013 Act for the purpose of related party transactions as this will remove the confusion and offers more clarity to the business community . I dont think that any clarification is required from MCA in this regard. Firstly, Section 2 (76) (viii) exempts those companies which are either holding, subsidiary or associate. There may be holding, subsidiary or associate Companies which do not have same directors or members. There is no concept of group company. so, I dont think Section 2 (76) (iv) needs to be exempted for Private Limited Companies. 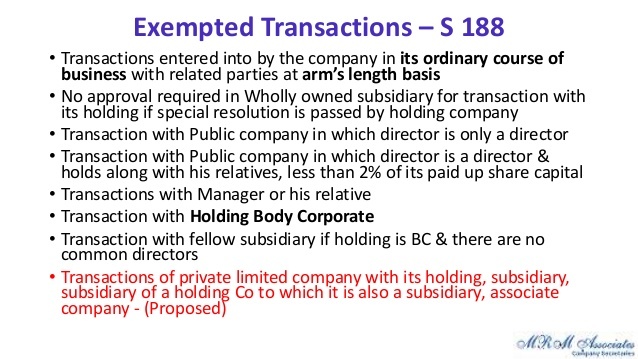 Secondly, Section 188 (1) is not exempted for Private Limited Companies. However, Notification dated 05/06/2015 has exempted Second proviso to Section 188 (1) for Private Limited Companies. Just wish to indicate that you are using part of my presentation available on slideshare outof context to prove your wrong points in your blog. Rather my presentation was well prior to pvt company exemptions and hence not fitting in your context. You may like to avoid the same. Anyway i dont agree to your views of requirement of further ROD. There are many articles published and availble in the web on the above topic. I have not borrowed or copied from your slideshare presentation. In my argument , I have used the relevant company law portions , the relevant circular and my own way of argument stressing the need for the goverment to issue further circular or clarification on it. Every one is having right to point-out shortcomings of company law and it is really surprising that honourable coucil member like you is making a baseless allegation. I want your support and not your blastings which I know that you will not extend.